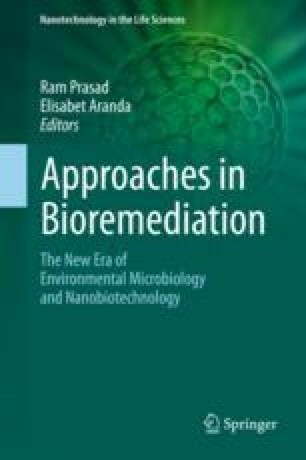 As physical and chemical remediation of xenobiotics is costly and most of the time inefficient, bioremediation has attracted attention in recent years. Bioremediation is the treatment of xenobiotic wastes with living organisms or their parts. Bioremediation with plants has been applied mainly to alleviate pollution by heavy metals, but it has also proven useful with other kinds of xenobiotics, such as polycyclic aromatic hydrocarbons, pesticides, dyes, etc. Plants use several mechanisms for bioremediation of different compounds: phytovolatilization, phytostabilization, phytodegradation, and rhizodegradation. Fungi are ideal for phytoremediation since they can coremove both organic and inorganic pollutants. Additional effort is necessary in the investigation of fungi-based phytoremediation of soil cocontaminated with heavy metals and organic compounds since studies on this are scarce and poli-polluted environments are more frequently found. Mycophytoremediation is a potentially effective strategy for the remediation of soils and waters polluted with xenobiotics. It is an emerging low-cost technology that still has to be explored, but which has already proven to be efficient, since very high percentages of persistent organic pollutants or heavy metals were shown to have been removed.